Carpet Cleaning Maintenance Tips for Longer-Lasting Carpets. Let’s face it, carpets aren’t cheap. We want them to last as long as possible. To do that, we need to look after them. To enhance their longevity and keep them looking fantastic, you will need to ensure they receive top quality carpet cleaning and maintenance. In this comprehensive guide to looking after your carpets, we provide several actionable tips for the most commonly found carpet types and give you advice on the implications of their maintenance. Whether you’re looking to buy new carpets, or keep your existing ones, our carpet cleaning maintenance tips should help you! When buying new carpets, the cost can often be an indicator of the quality you get. The more expensive carpets have a higher fibre density per square inch and tend to last longer. The vast majority of carpets are either cut pile, loop pile or a combination of both. The manufacturing process is what makes these types of carpet construction different. Something to keep in mind when purchasing new carpets is that cleaning cut pile carpets is more effective than cleaning loop pile carpets. This can make a big difference to carpet cleaning maintenance and your carpet’s longevity. Cut pile carpets are made by cutting the yarn loops, producing an upright pile which feels and looks more formal than typical loop pile carpets. Cut piles have a more luxurious feel than other carpet styles and do show footprints more readily, which can easily be vacuumed out. It is important to note that all cut pile carpets, particularly plush pile carpets, develop lighter or darker patches over time. This is not recognised as a manufacturing flaw or defect. It is simply caused by permanent bending of the carpet fibres which reflect the light differently. Loop piles, on the other hand, don’t show footprints and shading is not really an issue. Loop pile carpets are particularly suited to busy homes or those with young children. Another aspect of typical loop piles is that they can have a wider range of distinctive patterns and textures by combining higher and lower loops. We recommend taking a look at https://www.godfreyhirst.com/au/carpet/carpet-explained/carpet-styles for more information about the construction of carpets. We will begin by taking a look at the various carpet materials you can choose between. In general, wool fibre carpets are considered to be of superior quality to other materials and in some cases, the more upmarket wool carpets may be woven.100% woollen carpets will have a really nice feel and look. Something to be aware of is that heavy furniture will cause indentations on the carpet which cannot always be reversed. Although the lanolin in the wool will provide some natural stain protection, wool is also prone to permanent staining. Carpet cleaning on wool carpets produces very good results except in cases where too much moisture is used. Quality carpet cleaners will not make the mistake of over-wetting the carpets. When cleaning is taking place, or shortly afterwards, you can expect to have a slight wet dog smell which will dissipate when the fibres dry completely. If a carpet still smells like this after a day, it may point to a carpet where too much water was left behind during the cleaning process. This can lead to mould incubation which can create health problems for your family. TIP 3: ENSURE 100% WOOL CARPETS ARE LEFT AS DRY AS POSSIBLE BY YOUR CARPET CLEANER. Not all woollen carpets just contain wool. Wool fibres are sometimes blended with nylon or acrylic to improve fibre strength and limit fibre shedding. We recommend that you do not choose a carpet blend with less than 80% wool in it. Again, like with the 100% woollen carpets, this type of carpet responds well to general carpet cleaning. Fibre compression or furniture indentations are less of a problem but are still an issue where the fibre density per square inch is on the lower side. The wool blend carpets have the same problem as the 100% wool carpets when it comes to stain resistance. 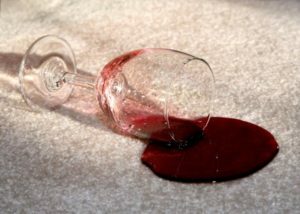 Pet stains or wine spillages can cause permanent staining. With wool and wool blend carpets there will be a slight fibre loss with during vacuuming and/or carpet cleaning. On some cut pile carpets, the pile may bend back into itself in traffic areas over time. This causes shading or the appearance of watermarking. This can be seen on wool and/or nylon cut pile carpets and cannot be reversed with steaming or carpet cleaning. For more on this subject, you can contact a certified carpet inspector. TIP 4: IF YOU CHOOSE TO GET WOOL BLENDED CARPETS, ENSURE THAT HAVE AT LEAST 80% WOOL IN THEM. Nylon carpets are strong and often have very good stain resistant properties. These types of carpets are generally more affordable and are more applicable than woollen carpets for commercial premises. Choosing a nylon carpet makes a lot of sense for landlords who do not want to spend a fortune on carpets. Cleaning nylon carpets is quite easy and the stain resistant properties will limit the prevalence of permanent stains during the first few years of the carpet’s life. TIP 5: NYLON CARPETS ARE REASONABLY STAIN RESISTANT AND ARE AN AFFORDABLE OPTION FOR LANDLORDS. If you are after cheaper carpets, polypropylene and polyester are types of carpet materials which cost much less. Polypropylene carpets have fibres which are quite hard and abrasive to the touch. One of the more popular applications is of this style is low pile polypropylene carpet tiles for offices. Polypropylene carpets are suitable for rental properties because the fibres have stain resistant qualities. Stain removal is quite easy on this kind of carpet. However, polypropylene carpets are prone to traffic lane formation and wear out quite quickly and as these kinds of carpets lose their lustre after a while. The oil attracting fibres used in polypropylene carpets can lead to re-soiling in a short amount of time. The lifespan of this kind of carpet is generally quite short, with the exception of some upmarket fibre dense variations. 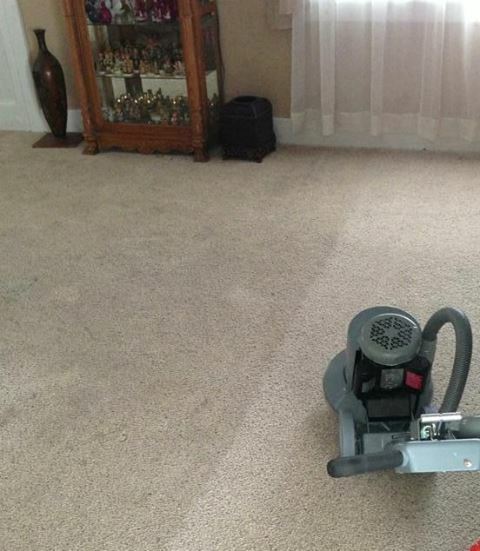 General carpet cleaning does little to improve the overall look of the carpets. TIP 6: BE AWARE THAT POLYPROPYLENE COSTS LESS BUT DOES NOT HAVE A LONG LIFE SPAN. When we refer to the normal budget polyester, the majority of these carpets are cheap and are of poor quality. Polyester carpets try to emulate the softer feel of wool fibres. Some imported expensive variations like Smartstrand or Sorona are available and seek to contradict the general negative opinion of polyester carpets. However, even these variations do not stand the test of high traffic. Most polyester carpets fibres lose shape in traffic areas quite quickly. 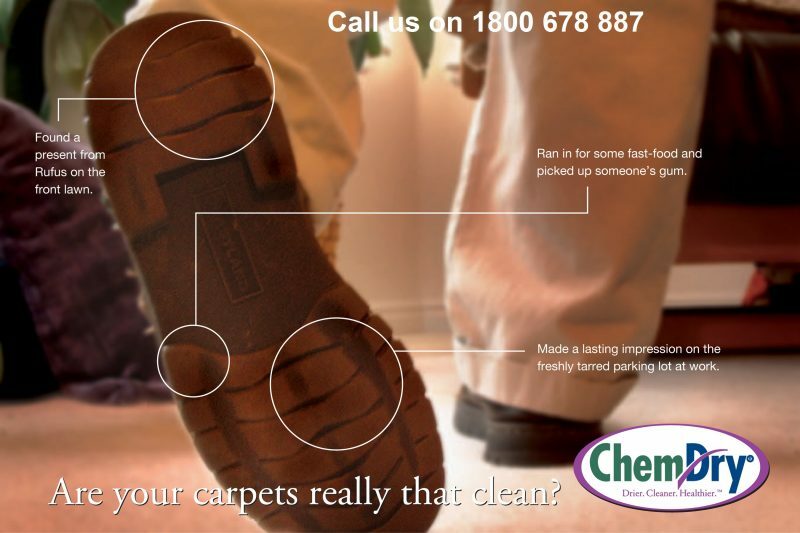 Fibres in polyester carpets tend to matt and pill in a short time. One of the reasons they are popular with carpet mills and shops is that budget polyester carpets need to be replaced quickly. Carpet cleaning does not improve the carpet appearance much. Polyester has a softer feel than polypropylene but has not got that much else going for it. TIP 7: AVOID POLYESTER CARPETS AS THEY DO NOT LAST. These types of carpets are also known as “sea grass”. Virtually no carpet cleaners are prepared to touch these fibres. This fibre is a carpet cleaning maintenance nightmare! More than a decade ago sisal carpets were fashionable but with no professional carpet cleaning company prepared to clean these types of carpets, it is now much less common. Steam cleaning can lead to extreme shrinkage and all other types of cleaning make virtually no difference to the staining and general look of the carpet. These carpets are really only an option for very careful owners without pets or children. TIP 8: AVOID NATURAL SISAL CARPETS AS YOU WON’T FIND A PROFESSIONAL CARPET CLEANING COMPANY THAT WILL CLEAN THEM. Once you have decided on a specific carpet it is then time to think about the underlay selection. If you choose an expensive carpet do not make the mistake of trying to save on cheap underlay. There are three main types of underlay and all of the three come in quality variants. Felt underlay is not that common in Australia anymore. Felt comes in various materials from jute to wool to waste textiles. You can find budget felt and very thick premium felt underlay which is used with premium commercial carpets in pubs and hotels. Quality felt underlay will enhance the feel of a carpet and help protect it against traffic wear and tear. There is one major issue with felt underlay. Any moisture contained in felt will quickly lead to mould incubation. Mould has potential long-term health implications for allergy sufferers. In cases of water-damaged carpets and underlay, the felt underlay has to be removed and replaced. Rubber waffle underlay comes in different colours, different weights and density. The cheapest is Black rubber, which is really only suited to light traffic areas and certainly not stairs or narrow hallways. The top of the range is the Supa Blue rubber. Modern rubber underlay is anti-microbially treated to resist mould incubation. This means that this kind of underlay does not always need to be replaced during a water damage event. Foam underlay is the most popular type of underlay in Australia. Prices range according to weight and thickness. Higher traffic areas is where the more expensive foam underlay tends to go. It is always a good idea to pay a little more for quality underlay. Airstep foam underlay is a good brand choice. Foam underlay does get mouldy and quite often you will need to replace the underlay in a water damage event. TIP 9: IF YOU CHOOSE AN EXPENSIVE CARPET DO NOT MAKE THE MISTAKE OF TRYING TO SAVE MONEY ON CHEAP UNDERLAY. Now that the underlay is positioned and the carpet is laid, we come to common mistakes made in the home when it comes to carpet use and maintenance. 1. Trying to clean the carpets yourself. This is one mistake we see all the time. Often people think the work is easy and overestimate the capacity of the rented machine they are using. Great steam cleaning equipment costs many thousands of dollars and cheap rented carpet cleaning machines have minimal carpet cleaning impact. The cleaning detergent that comes with the rental is also not state-of-the art. It can be quite ineffective and the person doing the cleaning may quite often over-wet the carpets because the rented carpet cleaning machine and chemicals are not really up to the job. Browned out and mouldy carpet can be the results of this kind of effort. 2. Dragging heavy furniture across carpets. Dragging heavy pieces of furniture across the room can pull carpets off their smooth edge and delaminate the backing of the carpet. The most common results is a loose or rippled carpet. Lifting furniture or using carpet sliders will avoid this from being an issue. 3. Having pot plants on carpets. Placing pot plants directly onto carpets may seem a good idea but remove them 6 months later and the effect of watering will show permanent carpet damage. There will most likely be a permanent round yellow or brown stain with backing delamination. Landlords may think of stipulating to their tenants that they are responsible for the carpet replacement if such damage occurs during the period of the tenancy. The carpet has rotted and the fibres are falling out. Replacement is the only option. 4. Placing cables incorrectly underneath carpets. Laying cables underneath the carpet instead of along the skirting boards. Computer cable or telephone lines that are laid incorrectly will damage and crease a carpet over time. 5. Having pets that aren’t house trained. People with pets will challenge carpets far more than the rest of us. Cats tend to sharpen their nails on a carpet and in the process they destroy the carpet loops or fibres permanently. 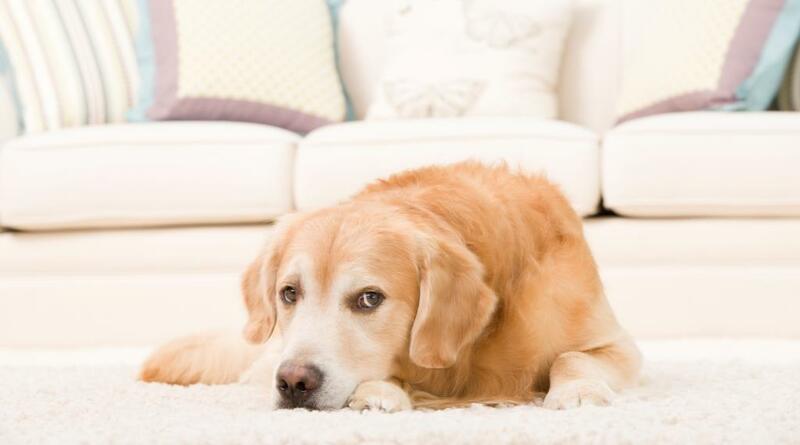 Mature pet stains on a carpet are quite often permanent stains and the level of general soiling and contamination of carpets is quite high where pets are involved. Urine crystals form underneath the carpet and can be on the nose. In severe cases, you may have to lift the carpet, remove the affected underlay, treat the floor with disinfectant, clean plus sanitise the carpet fibres and backing and then refit the carpet. 6. Leaving the stain for several days unattended. When you stain a carpet do not leave the stain removal for another day if at all possible. In many cases, you can remove a stain with just a small amount of water, patience, an absorbent towel and something to remove solid matter. The one thing you have to do is act immediately. Scrape any solid matter off the carpet first always working to the centre of the stain where possible. Then pour a bit (not too much) of hot water on the stain and blot the stain repeatedly. Do not rub the stain because the initial results are not good enough. Keep blotting and look for the stain colour transfer. If there is no colour transfer you are sitting with a permanent stain and may require an expert chemical stain removal service. If you are getting stain transfer, repeat the process placing pressure on the carpet. You have to ensure that the carpet is dried quickly in the area of stain removal. The last thing you want to do is create a second water stain around the initial stained area. Patient blotting combined with a fan or even hair dryer (on cool setting) may help prevent any browning or watermarks. 7. Waiting days or weeks before contacting professional water damage carpet restorers in the event of water damage. If you have a pipe leak, bath overflow, or storm flooding and your carpets are wet, try to get a qualified water damage restorer in on the same day, to dry the carpets. Often people wait days until the carpet and underlay start smelling before they call anybody. More attention should be paid to carpet cleaning maintenance in cases of water damaged carpets. One wet bedroom carpet provides the ideal growing conditions for mould. Mould incubation can lead to the spread the mould spores throughout the home within a few days. The secondary cost of effective mould removal can be considerable. In instances where the carpet is contaminated with sewage, you have to act even faster. The microbial issues around e-coli bacteria dictate that the carpet, underlay and smooth edge need to be removed by water damage restoration professionals. This type of work should never be a do-it-yourself effort. Firstly, teach everybody in your home to take their shoes off when they enter the home. Ask visiting friends and family to also abide by your rules. Your carpets will last significantly longer if you are able to stick to this rule. The abrasive nature of shoe traffic on the carpet will damage the fibres over time and of course, result in much dirtier carpets. The second tip is regular slow vacuuming with an upright machine with a spinning head at the base. Effective Carpet Cleaning Maintenance starts with the basics. Removing as much dry soil as possible from a carpet through regular vacuuming will also prolong the life of the carpet. Make sure that your vacuum is working at maximum capacity. An empty bag and residue free beater bars will help a lot. Never try to vacuum water or other liquids from your carpet with a normal vacuum cleaner. You will kill the vacuum motor within seconds. Dry-wet vacuums are made for these wet carpets – a small machine is cheap and will take care of small spillages very easily. We love to give advice where possible. Our wide range of experience puts us in a great position to assist you with all your carpet cleaning maintenance requirements. Have a look at our Services section for more information.